I took my son Jaz out to run errands with me today. We got groceries, school supplies, and some ice cream, and then I asked if he would help me pick out some cute winter gear for his little brother. 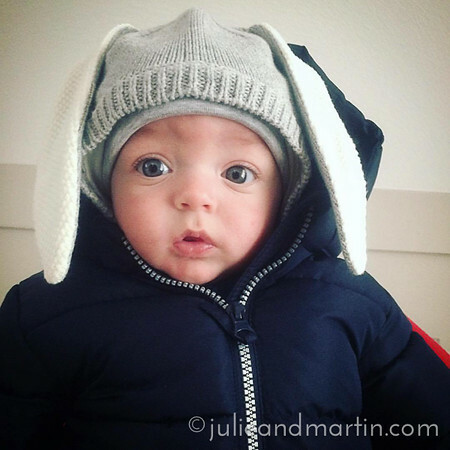 This is the result: a fluffy blue jacket and gray knit cap complete with floppy bunny ears.